Oh, I have been busy! So I have another four cards to spare with you and say goodbye to this wonderful, sunny weekend. Oh, ich war fleißig! Deshalb habe ich noch mal viert Karten zum Teilen und um das wunderbare, sonnige Wochenende zu verabschieden. These flowers are actually leftovers - I wanted to use the negative, but changed plans because I likes how this turned out. Diese Blumen sind eigentlich Reste - ich wollte eigentlich das Negativ benutzen, habe dann aber meine Pläne geändert, weil mir gefiel, was dabei heraus kam. You know - foxes are the new owls... and I love them. So I couldn't resist using the little Lawn Fawn fox again. Ihr wisst schon - Füchse sind sie neuen Eulen... und ich liebe sie. Also konnte ich nicht widerstehen, wieder den kleinen Lawn Fawn Fuchs zu benutzen. You have been busy creating - and what a treat to see the results! These are absolutely charming. Glad I don't have to choose a favourite; they're all far too special! What a adorable and beautiful set of cards. 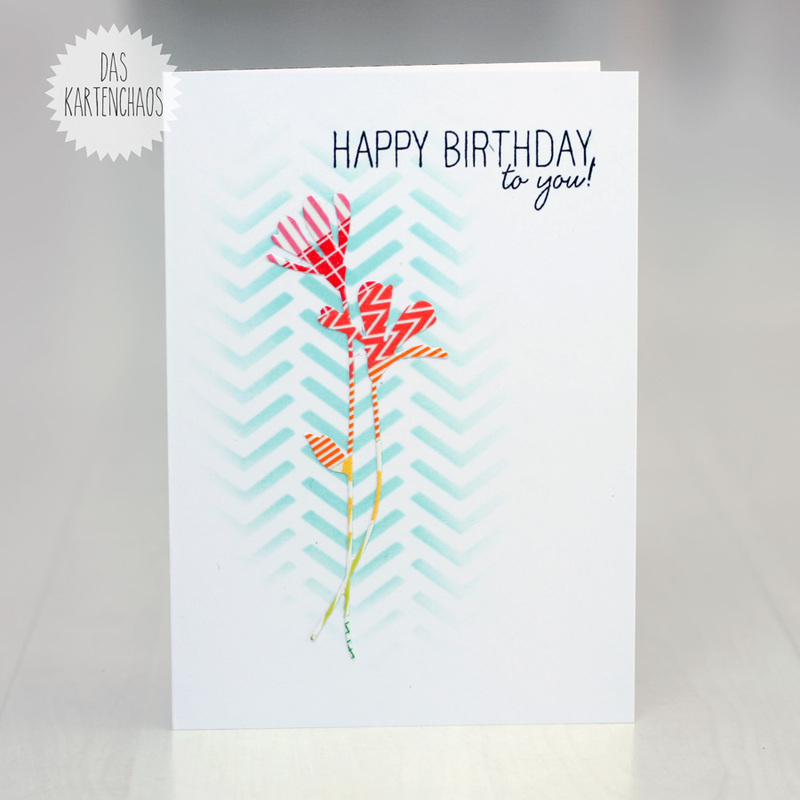 I have to say the stenciled background with the patterned flowers really caught my eye! Lovely! Thanks for playing along with us at Simon Says Stamp Monday Challenge! Such a cute set of cards, I love them. Can you tell me where to get the butterfly pink ribbon stamp. I love love love these cute critters. Wow!! First of all - 4 more cards?!? Incredible! And they are all amazing! Foxes are TOTALLY the new owls and you rock them! That background you created for the fox is gorgeous! And the flower card is stunning!!! I love the rainbow effect! It's just sooooo pretty!! 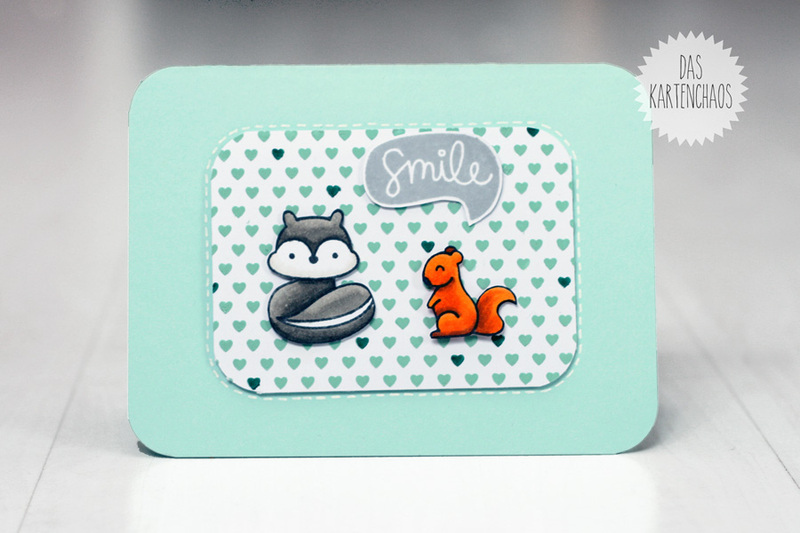 And your little squirrel card is too cute!! Lawn Fawn makes some of the most adorable animals!! Bravo!! Busy girl!! Love all of them, and you used my all-time favourite LF set!!! I think you're right, foxes are the new owls!! Hmmm, now you've got me thinking...what will be next?!! Great cards. 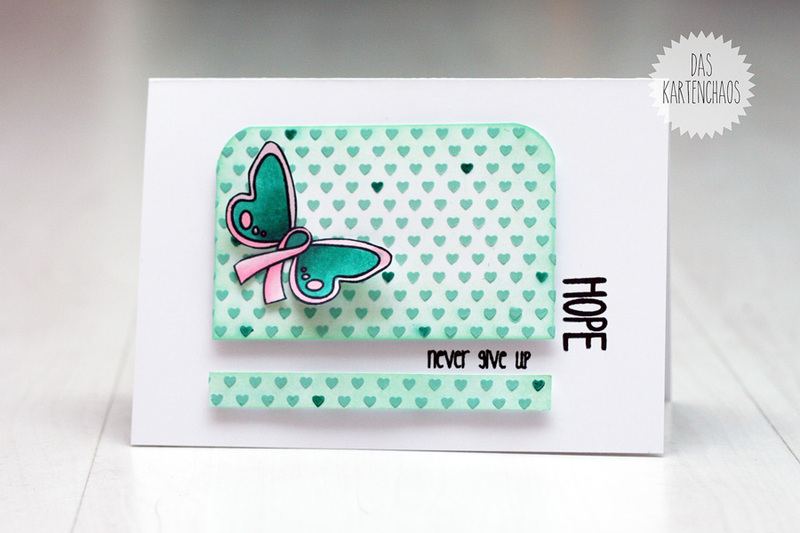 Lovely 'Hope" card with that pretty butterfly. Thanks for sharing it with us at The Pink Elephant Challenge this week! Love that first beauty - perfect combo of colors and the sentiment works wonderfully with the focal image. A beautiful set of cards, Christine. 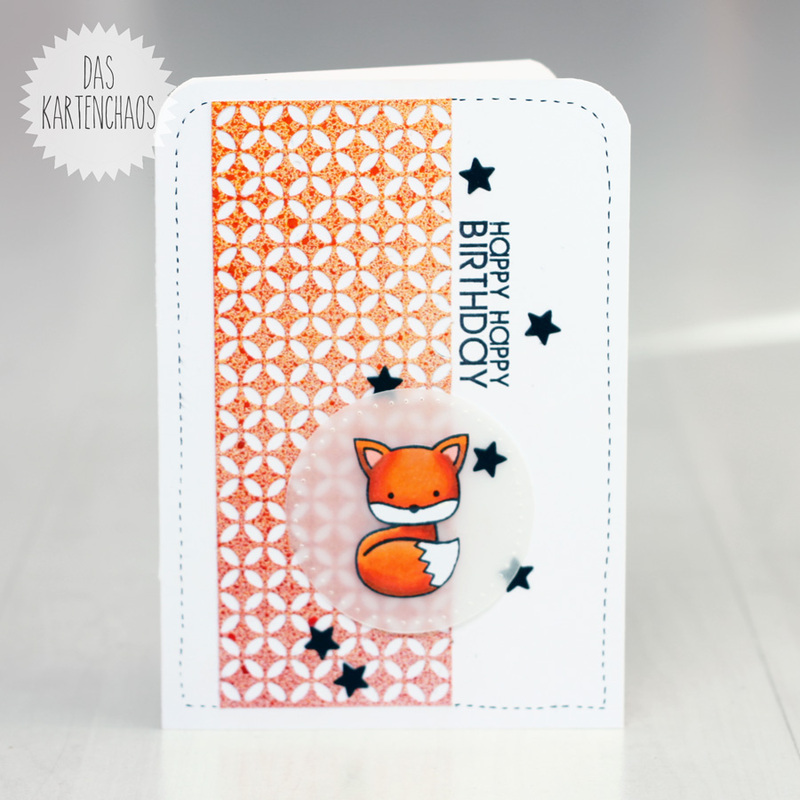 The birthday card is gorgeous, such a fresh look and lovely stencilling. Thank you for joining us at ATSM. Gorgeous cards :) love the vibrant colors in all and the faded effect on the stenciling. Thank you for playing with us at ATSM!! All of the cards are really pretty! Thanks for joining us at Seize the Birthday! You really are amazing! You just keep posting the cutest things! The fox one is my favorite! I think they are all just fabulous! Love the subtle chevrons on the first one! Thanks so much for playing along with ASM this week! Are the flowers cut from washi?